Oracle previews CX Unity, ‘next-gen’ sales UI, and DataFox upgrades. The investments are promising, but don’t dismiss data lakes so easily. 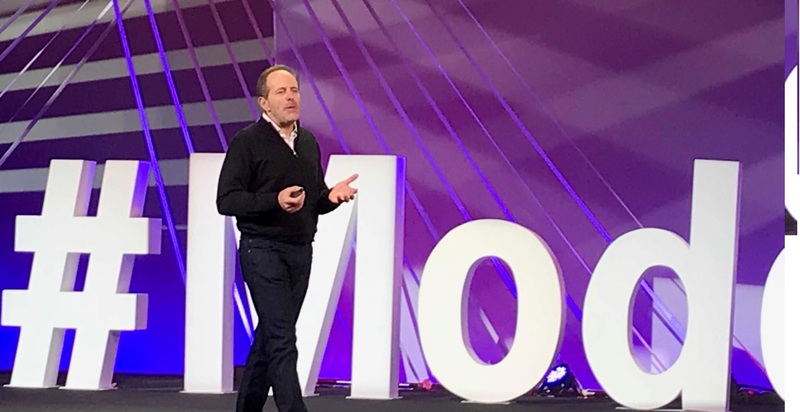 “You have to empower whoever gets to the customer first.” This is the key message that Rob Tarkoff, executive VP and general manager of Oracle CX Cloud, shared at Oracle Modern Customer Experience (CX), March 19-21, in Las Vegas. Tarkoff’s point was that customers rarely follow prescribed, linear journeys, so everybody must be armed with customer insight and context whether they’re in marketing, sales, commerce or service. Oracle CX Unity is the company’s coming customer data platform. CX Unity is Oracle’s entry into the emerging customer data platform (CDP) market, a category first defined in 2013 and that gave rise to The Customer Data Platform Institute (CDPI) in 2016. Search through CDPI’s directory and you won’t find any big tech vendors — just pioneers and startups mostly emerging from the marketing technology space. That’s about to change, with both Oracle and, on March 25, Salesforce, announcing their intention to offer CDPs. And it’s a safe bet that Adobe won’t be far behind, last year having announced a joint initiative with Microsoft and SAP to work together on an open customer data standard. As defined by CDPI, a CDP is “packaged software that creates a persistent, unified customer database that is accessible to other systems.” The platform benefits marketers because it “allows a faster, more efficient solution than general purpose technologies that try to solve many problems at once.” The need for CDPs emerged as marketers started pursuing mass personalization at scale, and it’s only getting more intense as customers expect you know them and their most recent dealings with your company in real time. Attendees heard lots of promises about the advantages that CX Unity will bring. Oracle has announced availability for CX Unity by late summer. It’s only natural for Oracle to deliver a CDP, but unlike marketing-only vendors, it has a duty to reconcile this offering with the company’s MDM and data lake offerings (as I discuss below). As for the “next-generation” sales experience demonstrated at Modern CX, the description made it clear that it was an early vision statement — so not something I would expect to see in 2019. The demo combined automated voice-to-text call transcription/logging and contextual, AI-based recommendation capabilities. I’ve seen similar capabilities both from Oracle partners, like the OppSource Sales Engagement app, which is integrated with Oracle Sales Cloud, and from Oracle rivals (in pilot release). The third big highlight from Modern CX for me was DataFox, which was acquired last October and mentioned by nearly every executive who took the stage at the event. Think of Oracle DataFox as an AI accelerator that will bolster the smart-recommendation capabilities of Oracle’s CX and ERP clouds, mostly through Oracle Adaptive Intelligent Apps. On the sales front, DataFox studies the companies you sell to successfully in a business-to-business context using machine learning and then finds lookalikes. It also prioritizes leads and next steps and it recommends talking points to help salespeople accelerate their selling. DataFox look-alike capabilities will be used in the ERP context to avoid supplier risk and to spot best-fit alternative suppliers. DataFox was clearly a good acquisition for Oracle, and I particularly like the “human-in-the-loop” (Mechanical-Turk-like) training and exception-handling capabilities. The next-gen sales demo struck me as “we’re working on it” trail balloon, but if it makes it to market in 2019 Oracle will, indeed, be among the fast followers on AI-augmented sales. At the center of Modern CX was CX Unity, which executives described as “three years in the making.” I’m hoping for conversations with early beta customers by Oracle Open World in September. I have to admit, it has to be a bit more challenging for a vendor like Oracle to jump into the CDP market. Unlike marketing-only vendors, I would think Oracle will be held to a higher standard to reconcile its CDP with its master data management (MDM), data warehouse and data lake offerings. I asked one Oracle exec about how CDPs and customer MDM will coexist, and he described them as complimentary, which they should be. But he went on to largely dismiss MDM as only relevant in a legal-liability context, resolving identities for ERP transaction purposes. In my view that underplays the value of MDM and you’ll want your steward-resolved customer MDM identities synchronized with your CDP. I also wasn’t entirely comfortable with how easily Oracle’s CX executives picked on data lakes as a poor alternative to what CX Unity will offer. It’s all well and good for marketing types to try to put their arms around “customer” data, but as CDPs start to grow, I think larger enterprises and others with incumbent data warehouses and data lakes will start to see overlaps and redundancies. What is and what isn’t customer-related behavioral data, and who decides which data to store and where? I think customers will expect more guidance (and, perhaps, integrations) from companies like Oracle than they would from marketing-focused startups to help them rationalize investments in data warehouses, data lakes and the emerging customer data platform.